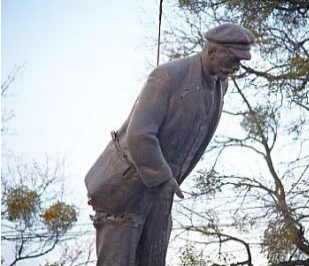 Putin is determined to "liberate" Ukraine much like his idol, Stalin, "liberated" Lithuania, Estonia, Poland, among others. We anticipate a speech soon to tell us "it's for the children," or "it's for the greater good," or "If you like your Russian occupation forces you can keep them." 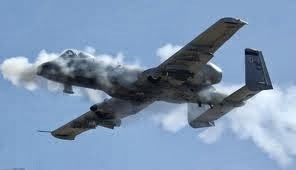 Hey Obama - how about a "smidgen" of A-10 support? It'd take less time to push the Russians back on their asses than it did to ignore Ambassador Steven's calls for help. Or, Mr. President, does the new conflict in Europe fit in your vision for a future driven by a Crisis-as-a-Means philosophy? To the freedom-fighters in Ukraine: You are 1-0. Take it to 2-0. Apply the same will-to-fight and the same excellent use of social-media. Just use different tactics. You know what to do. Thousands of foreign troops are now in Ukraine. 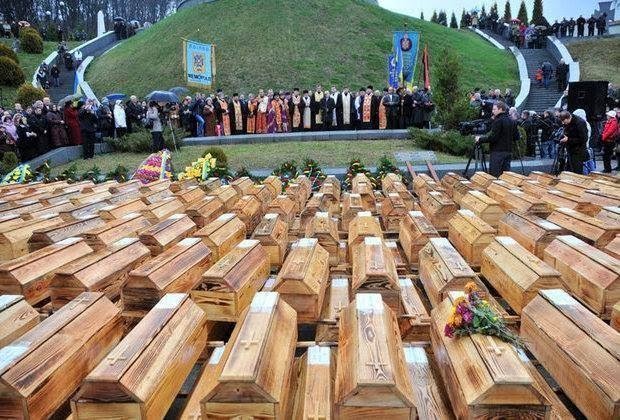 We saw this photo at WZ and wondered what the ___ the Ukrainians are waiting for. 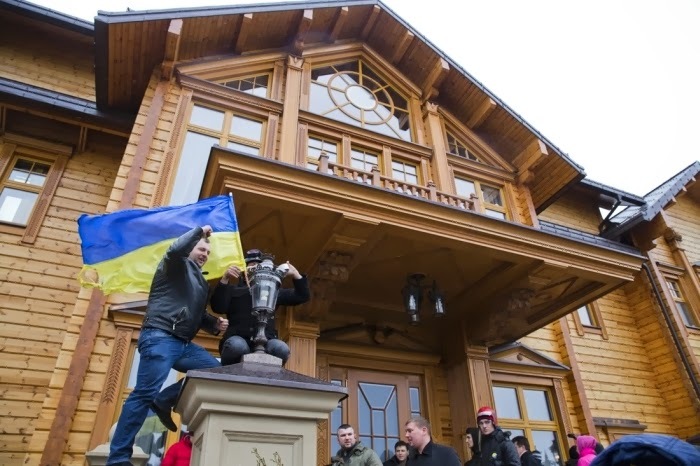 Those same Ukrainians who deposed their president with flimsy shields and burning tires. Remember, focus on the front sight. [Saamer] Akhshabi was transported to Grady Memorial Hospital. His biography on Georgia Tech’s website says he’s a PhD student in the school’s College of Computing and attended the University of Tehran in his native Iran before coming to Georgia. Someone who focuses on preparedness, generally for various worst-case scenarios like peak oil or armageddon. Sometimes used to avoid the more loaded term survivalist. 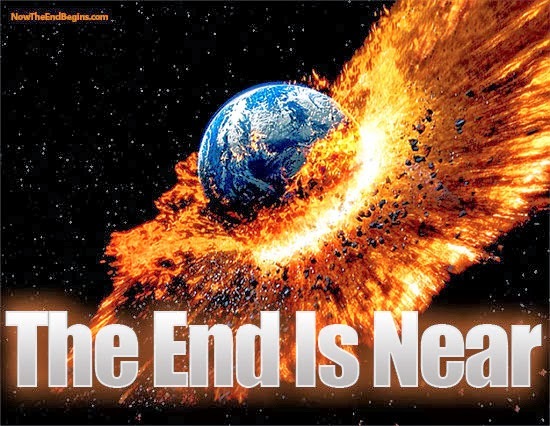 Warning people of the coming end has, up until this point in human history, been wrong. Therefore, warning others of the end will make you look like like the latest in a long procession of fools. 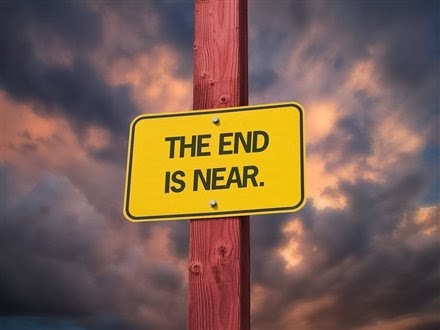 If you think the end is near, do you warn others, or not? Read it, and you'll hear how the Yellowstone Super Volcano is going to blow any day now. Don't look for any graphs of changing Helium levels, or scientific references or other measurable data. You won't find any, as this article was written for the casual end-of-the-world reader who doesn't want to be burdened with critical thought, or even curiosity. alvin - all of that helium means everyone will soon start talking like chipmunks!!!! Dan - It’s on the Internet, it must be true! Here’s a few minutes of my life I’ll never get back. I’ll tell you what, my family and I live close to the park. We will keep you updated year after year after year of its progress. Stephanie - Helium-4 (42He or 4He) is a non-radioactive isotope of the element helium. It is by far the most abundant of the two naturally occurring isotopes of helium, making up about 99.99986% of the helium on Earth. Its nucleus is identical to an alpha particle, and consists of two protons and two neutrons. 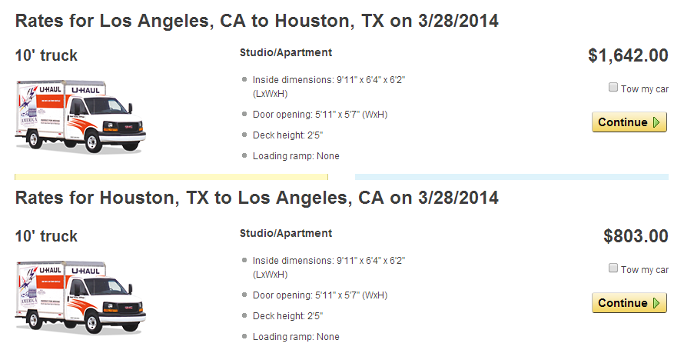 (you can find this information with the simplest of google searches). And it didn’t just “suddenly” appear. The helium has been venting that way for millions of years – they just now measured and studied it. There were many more comments, including from those who believe the Yellowstone Super Volcano will be blowing any day now. Very sad. We make light of the thinking behind this article because, if it is true, nobody will be around to tell us we were wrong. 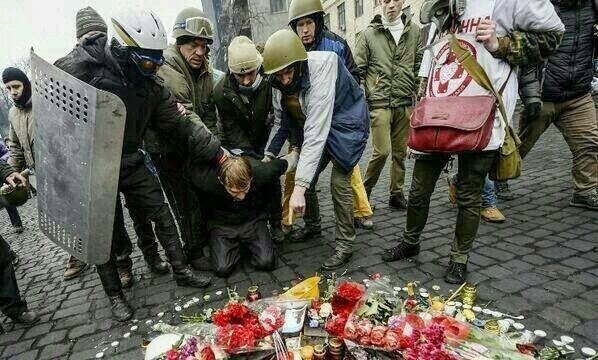 Supposedly a Ukrainian sniper forced to bow at the memorial for the dead. Source: Imgur. 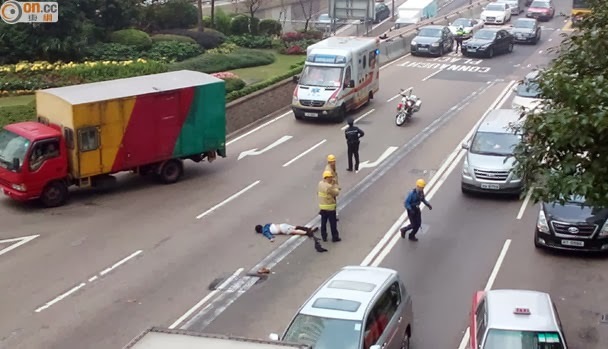 Having watched these videos (WARNING: GRAPHIC) - here and here and here - of what those snipers did, I'd say this guy should consider himself lucky. 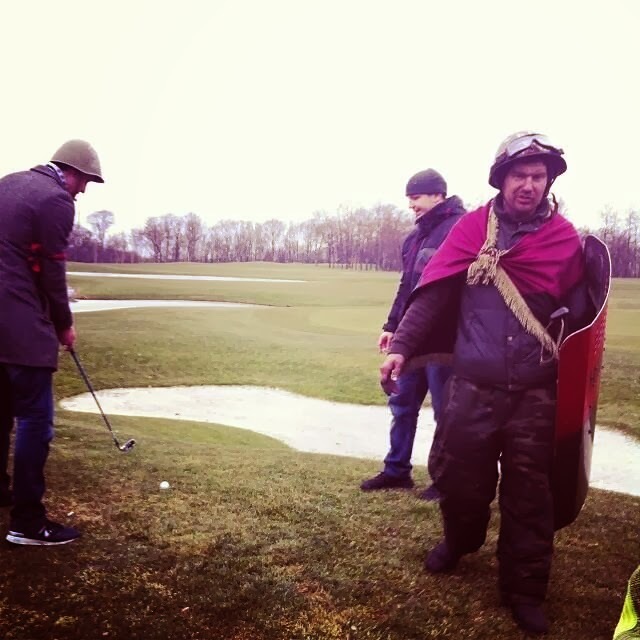 Caddyshack, Ukrainian style. Protesters playing gold on the president's course! Imgur. 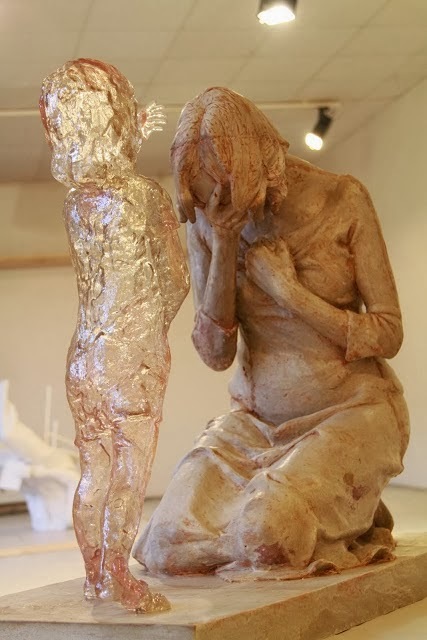 Apparently there is one very large glass box somewhere where these statues will be maintained and displayed. Or is that truck headed to Siberia? 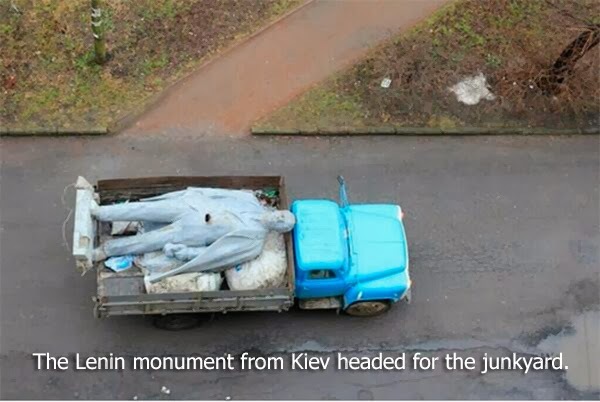 The Workers of The Ukraine will have to unite to clear out all of the Lenin statues. Statue pics from People's Cube. Map from Western Rifle. Tymoshenko photo from Doug. 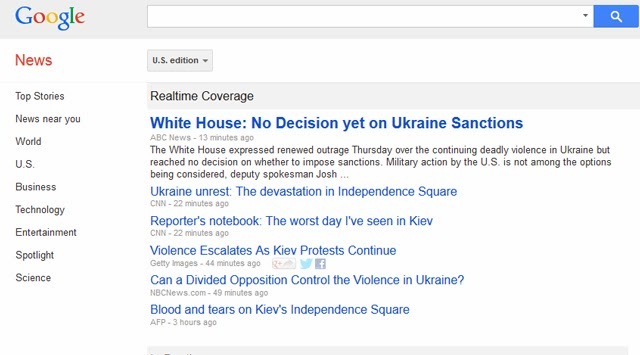 Google News: the media, like their idol in the White House who is still voting "Present," are still unsure what to make of the news out of Ukraine. It doesn't look like communism. It doesn't smell like communism. What could it be? 60k views in 3 days. Good. 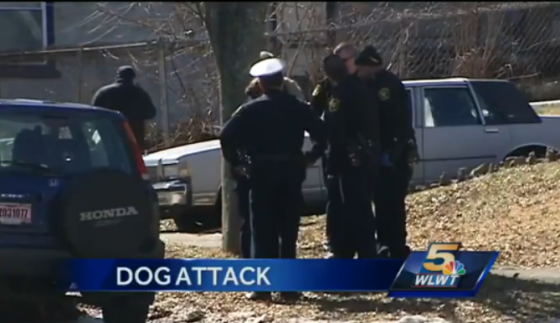 Here in Cincinnati on Friday a dog went postal on a lady, and a postal worker attempted to stop the attack. During the struggle, a passer-by, presumably someone licensed to carry a concealed weapon, pulled his gun and shot the dog dead. He then continued walking in the same direction and his identity is not known. We have the weirdest news here in Ohio. I'm glad the lady and the postal worker are ok. I'm also glad to see a dog shooting that did not involve the police. Bob Owens has the full story. When do you finally say, "Enough," decide to sell your house, pack up your things and move your life to another state that offers more freedom and liberty? There was no way we were going to submit to registration of anything that we owned, nor were we going to be restricted in defending ourselves by limiting the number of bullets in our magazines as a result of the state's new gun laws. Our guns did not kill those children in Sandy Hook, and yet Connecticut wanted to punish us for it. We are cheering for those who have decided not to register and we respect others who decided not to risk becoming instant felons. Our choice was simply to leave. As someone who saw the writing on the wall and fled California back in 2008, I say "BRAVO!" Lets see some more stories like this. 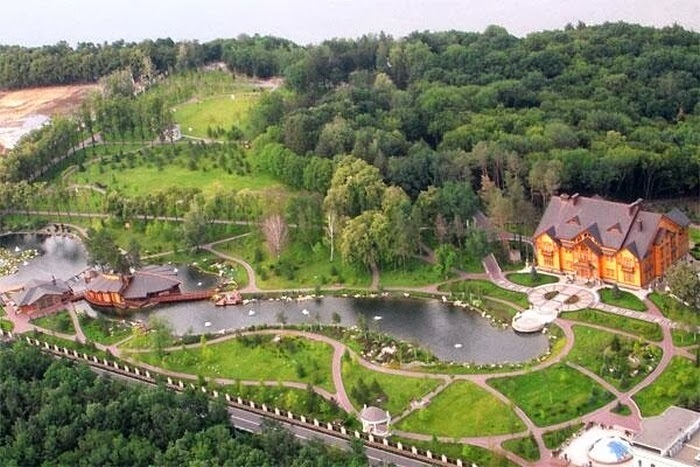 Mr Yanukovych [now former president of Ukraine] has been blocked from taking a plane to Russia, Mr Turchynov said. "He tried to take a plane to Russia but he was blocked in doing so by border police. 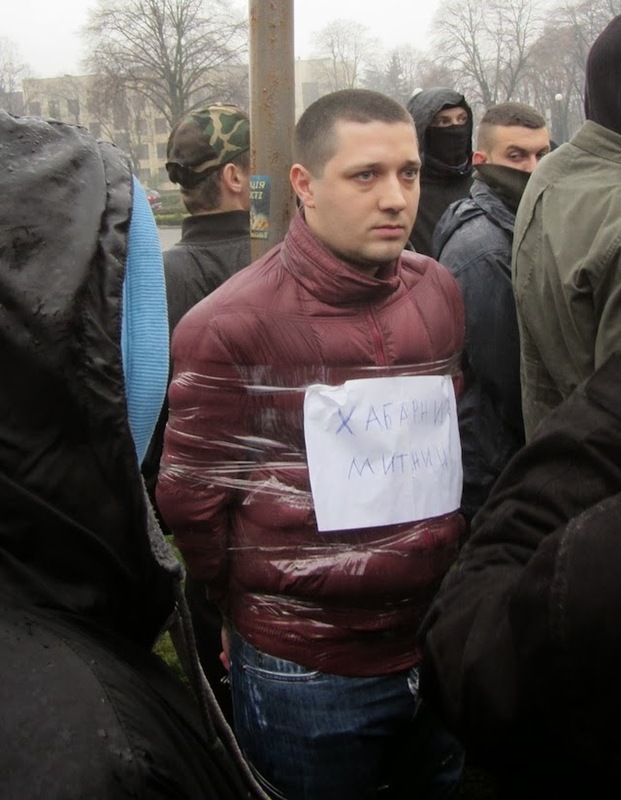 He is currently hiding somewhere in the Donetsk region." It takes four months for patriots to depose a president who made, then broke, promises to the people. We'll let the dust settle in Kiev and post more on this later. We owe Venezuelans a post too. The Liberals Progressives Communists in power and in the MSM will tell us there is chaos in the world and that we should re-elect them to protect us. The fact that crisis-as-a-means is the Liberals' Progressives' Communists' main play against liberty won't be mentioned. Only in the new media of the Internet bloggers, YouTubers and Twitter'ers will we hear the fact that pro-freedom forces are facing horrible odds, yet winning. 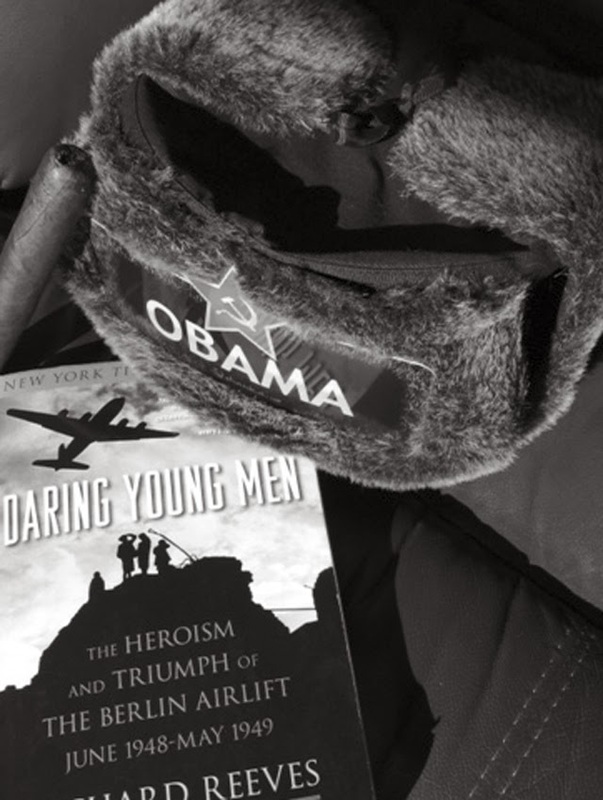 Enjoying a Rocky Patel Habano as I continue reading Richard Reeves' excellent 2010 book, Daring Young Men. 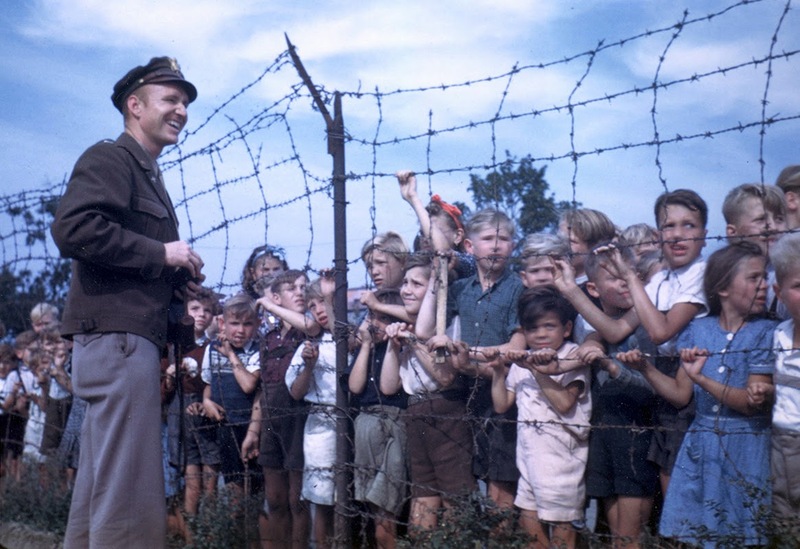 He trotted around the perimeter of the [Berlin air) field and saw a bunch of kids, perhaps thirty of them, standing on the other side of the fence watching planes land. "Guten Tag" said Halvorsen, using about half the German he knew. A number of boys and girls there, the oldest was fourteen and the youngest eight, immediately began to ask him questions about the airlift. "How many planes?...How much flour could they carry?...What about milk?" He stayed about an hour - Halvorsen loved kids - and when he was leaving he realized none of them had asked for anything and he had not given them anything. He had two sticks of Wrigley's Doublemint gum in his pocket, so he went back and broke them into pieces, handing them to the kids up front, who took their gum and them passed the wrappers back for others to lick. Halvorsen had never seen such happy children and he said, "Look, if you're here tomorrow, I'll drop some gum and candy from my plane, but don't tell anyone else about this." He was back in the air from Wiesbaden the next day, taking off at 2am. On the way to Berlin, he told his crewmates what had happened and what he promised to do. "You're going to get us into a mess of trouble," said his co-pilot, Captain John Pickering. 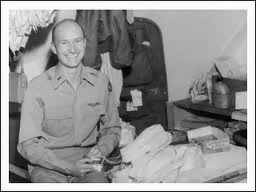 But Pickering and the flight engineer, Herschel Elkins, agreed to go with Halvorsen to the Wiesbaden Post Exchange and let him use their ration cards to buy sweets. They also collected some handkerchiefs to make little parachutes so the stuff would float down and not break up - or crack some kid on the head. 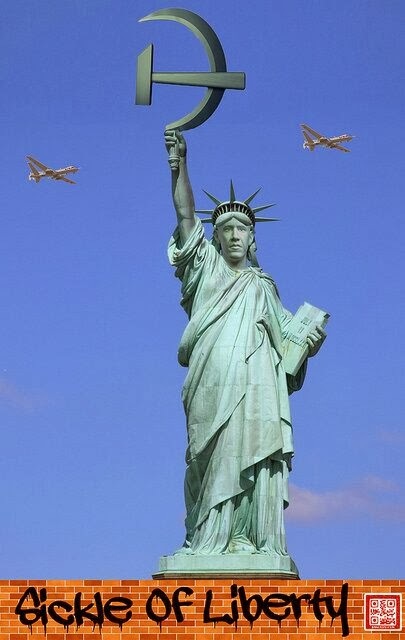 Their next flight to Berlin was in daylight. At noon, [Berlin landing strip] Tempelhof was in sight and so were the thirty children. Elkins crouched at the plane's flare chute, holding the three parachutes tied to bags full of Hershey bars, Mounds bars, gum, whatever they had. Halvorsen wiggled the wings of the C-54 a bit, the signal he had told the children below would identify his plane, so get ready - and don't forget to share! "Now," Halv orsensaid, and Elkins pushed out the little chutes. Ten-year-old Rainer Baronsky was one of the German kids at Tempelhof when the tiny parachutes opened. "One parachute got snagged in a tree, so we took a long stick and jarred it loose. My little brother and I opened up the package dangling from the chute and found candy. What was candy? We would later find out about its sweet chocolate - Hershey bars, Butterfingers." The boys brought the cache home. Their father divided the chocolate in five neat slices for the family and then let the boys chew gum. Taking it from them later, he put the little wads in a bowl of sugar, to be chewed the next day and the next. Halvorsen and his crew did the same thing twice more over the next two weeks, candy-lifting on the days their new ration cards were issued. The crowds at the fence were getting bigger, of course, and the American flyers were afraid someone would check out their tail number - and then the trouble would begin. So they decided to stop after a final drop of six parachutes. After that drop and landing, Halvorsen had to go into the operations office at Tempelhof for a weather map. There, piled on a table, were dozens of letters, addressed to "Uncle Wackelflugel." "Wiggly Wings," and the "Schokoladen Flieger," the Chocolate Flyer. The next day at Rhein-Main, an ops officer met Halvorsen's plane and said, "Colonel Haun wants to see you. Now." "What have you been doing?" said Colonel John Haun. He pushed a copy of the newspaper Frankfurter Zeitung across the desk. "Look at this," Haun said, tapping the paper. "You almost hit a reporter on the head with a candy bar yesterday. "The general called me with congratulations," Haun continued, "and I had no idea what he was talking about. He wants to see you to have a press conference. "And Halvorsen, next time, tell me first." And so it began. Halvorsen kept flying, but he had an office and two secretaries at Rhein-Main to answer the mail from grateful Germans. When he got back to his room, his cot was covered with candy - other airmen had used their ration cards - and cloth for parachutes. The crowd at Tempelhof had gotten so large that other pilots were recruited to make drops at schoolyards, at churches and hospitals - all unannounced now. They were dropping packets in eastern Berlin, too, until the Soviets protested to the State Department in Washington that the candy from teh sky "violated existing propaganda agreements." General Tunner called in Halvorsen to tell him that the Air Force was calling him back to the United States for two weeks of newspaper interviews and radio appearances, even some guest spots on that new thing, television. He returned to Germany with fifty pounds of handkerchiefs. By the time he was back in the cockpit, Halvorsen was getting tens of thousands of pounds of candy from both manufacturers and ordinary people responding to "Candy Bomber" drives at schools, colleges and churches across the country. Now trucks were delivering the candy and gum all over Berlin and western Germany. 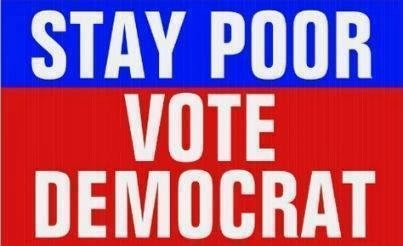 I have vowed I will never vote Democrat again. I am done with them. 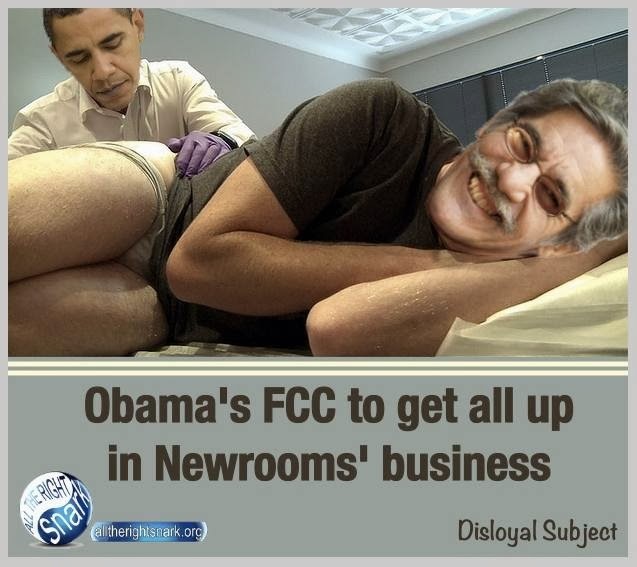 ...these Democrats at the FCC are Communists. Do you think he'd wear the hat? Supposedly there has been an agreement between the counter-revolutionaries and the government. Let's see how that works out. Agreements are best between two parties that bring honesty, character and integrity to the table. Something Russia and it's tyrannical friends are not known for. The government (president specifically) lied to the people when he campaigned on the promise to partner with Europe. He led them to believe that he would not put the country's future to the highest bidder. Will he stick to the terms of the agreement when the tire fires go out? Knuckledragg'in posts some videos of government snipers. And Mr. B suggests how such a fight would be slightly different here in the states. From the "Shop Girls" at All The Right Snark. Be sure to bookmark them for your daily dose of brilliance! 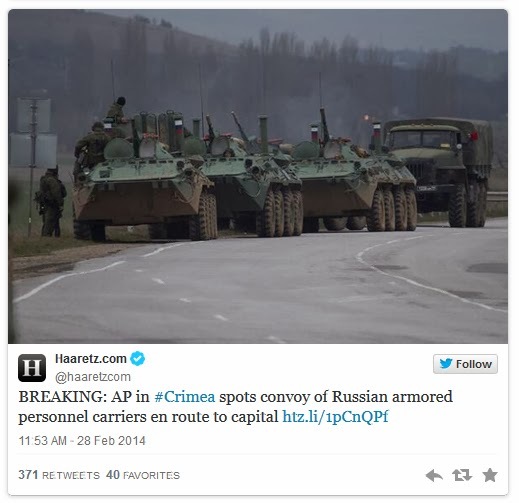 Armored cars and fighter jets, via ZH. The regime is threatened. Another video found at ZH. Tyler there says it is spiraling out of control. I'd argue that point. 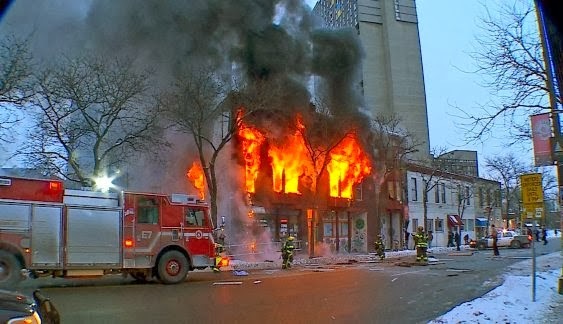 The tanks are an escalation which is now attracting concentrated fire from the Molotov-Cocktail brigade. 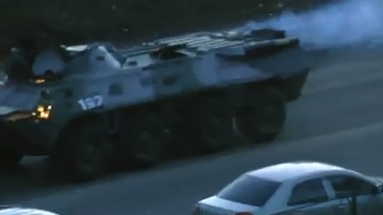 The tank, actually Armored Personnel Carrier (APC), was used because of the Molotov Cocktail threat and the freedom fighters' actions were both predictable and warranted. My $0.02. Some bloggers are saying "this is coming to the US." I feel compelled to argue that as well. There are two cases where America's streets will fill up with outraged citizens: 1) The Tea Party, and 2) the EBT crowd. The Tea Party is made up of peaceful people. I know. I've been to every Tea Party rally and consider myself a Tea Partier. You won't see burning tires no matter how tyrannical Commissar Obama and his sycophants get. So saying this can happen in the US is to ignore one major difference between the Ukrainian people and the Americans: Freedom-loving Americans do not riot. Freedom-loving Ukrainians do. In short, America is too far gone to rally a mob of this size in defense of tyranny. Comrade and hat owner Mr B, of In the Middle of the Right fame, has posted some comments below where he disagrees with my comments above. He makes some good points. 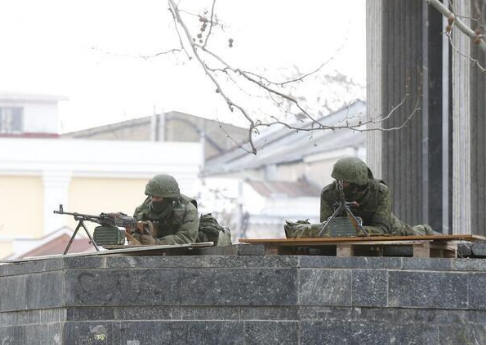 Here are many photos from the action in Ukraine. 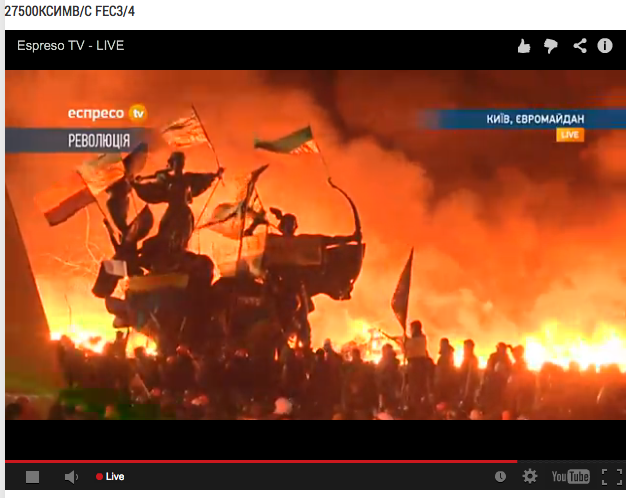 NiceDeb has a post on Ukraine where she shares these two informative videos. You'll hear some critical analysis on what options exist for both sides and from Europe and Russia. Twitchy presents twitter comments about Obama's latest red line. 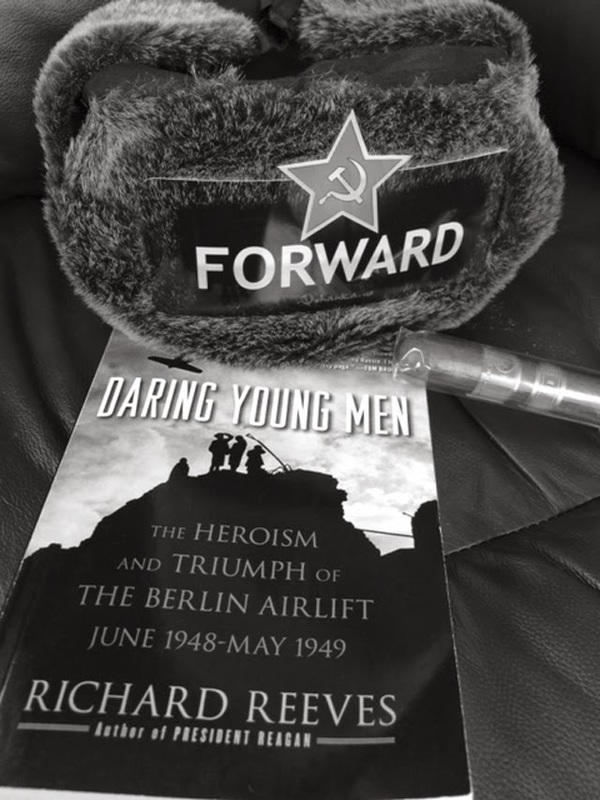 We're reading Richard Reeves' 2010 book, Daring Young Men. The single most fascinating aspect of this story is that the US stood by freedom-loving people against enormous odds. It didn't cut and run like it has in so many instances to include: Vietnam, Hungary, Rwanda, Iran (2009), Venezuela (2014), and Ukraine (2014). Another tidbit to ponder: In the 62 days between the Soviets "liberating" Berlin and when the Allies arrived, over one million rapes occurred in that city of women. 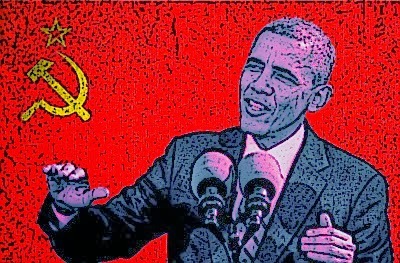 The Ukraine problems were known in November, yet our dear leader dithers. The fact that the government and the counter-revolutionaries have both escalated changes nothing. Silence in the face of tyranny implies consent. And I do not consent! When Democracy turns to tyranny, the armed citizenry still gets to vote! He visited Ohio two weeks ago. Wouldn't it be great if a bunch of Americans stood up and spoke as Trevor does? We have a few: Ted Cruz, Sarah Palin, Allen West and John Bolton. We need more. I need company til my Benadryl kicks in. I went out without a hat today and the sun (it was 75 degrees) gave me a rash. I'm itching like Sandra Fluck at a free clinic. If China is so “smart” by buying more Gold than is actually mined each year, how can you explain their equal excitement over US Treasury Bonds? So surprise, surprise. Today ZH reports that China has dumped $48b in US Treasury bonds. China now holds only $1.269T in US Treasuries. No news yet if china is selling their gold. Related: check out this nice response to my Precious Metals videos! Check out his precious metals videos! So a 7mil salary can't make you look any less like a 12yr old boy with a Harry Potter faddish? I think you're doing it wrong. And, if she is truthful in her orientation, she'll never know the beautiful and intimate experience from exercising her human right of choice and aborting a healthy baby. Such a sad, empty life. The latest jump was off JP Morgan's 30-story office building in Hong Kong yesterday. It looks like he gave a good push. He cleared the sidewalk and three lanes. Not a good PLF, but hey, it was his first try. Why? At a detriment to myself but a bonus to my former employers, I've always taken ownership of my responsibilities and have often pushed harder than I should. Yet I've NEVER had a job that inspired an alternative to the elevator. Some of these suicides could be tied to stresses outside of work. At least one is likely tied to a woman. (Or maybe two women.) So do we read into this new found enthusiasm for gravity? - They see projections that spell the end of times. - They see massive layoffs in the near future. Maybe they will have to initiate the layoffs. No doubt firing multiple co-workers can be more stressful than getting fired yourself. - They saw Microsoft Excel displaying "(Not Responding)" one too many times. - The company firewall blocked them from going to CommieObama.com to buy a cool hat. And completely unrelated: Have you seen our Precious Metals videos? ZH reports layoffs coming to JP Morgan by the thousands. Theory #2 above seems to hold water. 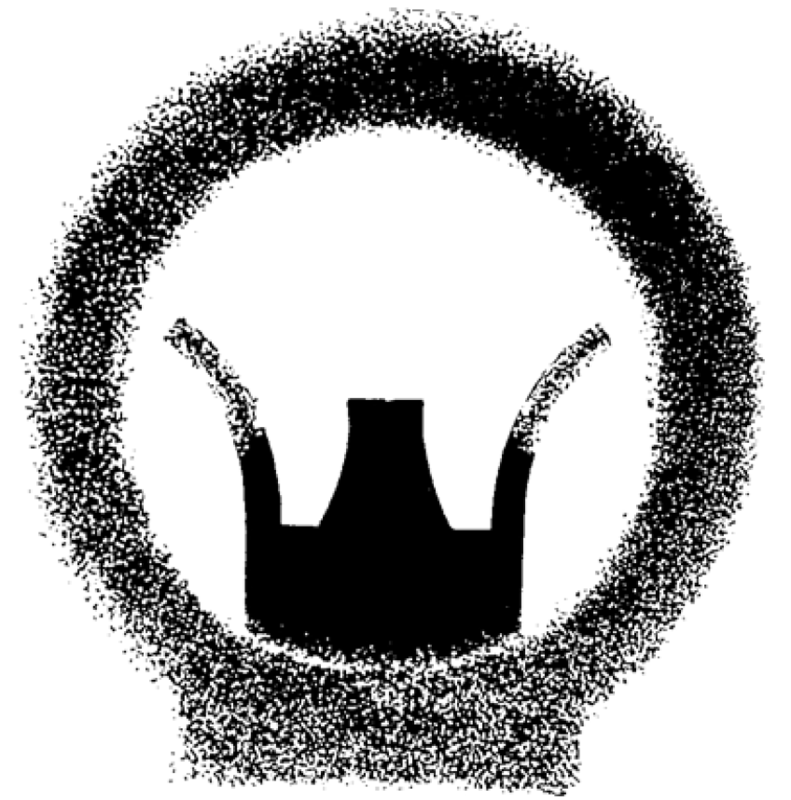 Announcement expected tomorrow. ZH's headline this morning: JPM to Lay Off 17,000 Mortgage Bankers in 2014 and 2014, Because of the "Housing Recovery." 2014 cuts expected to be 7,500. 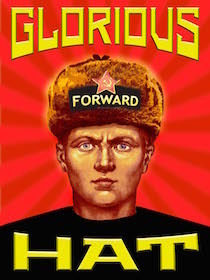 You think the Commie Obama hat is a joke? 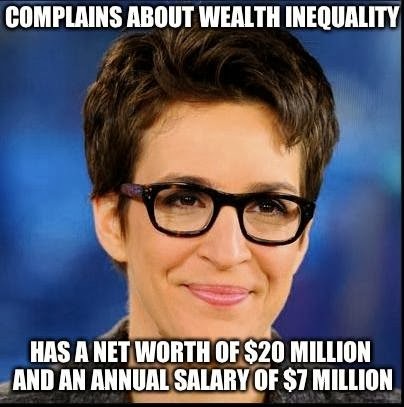 It might be fun to mock the Left with the hat, but there is a very real connection. 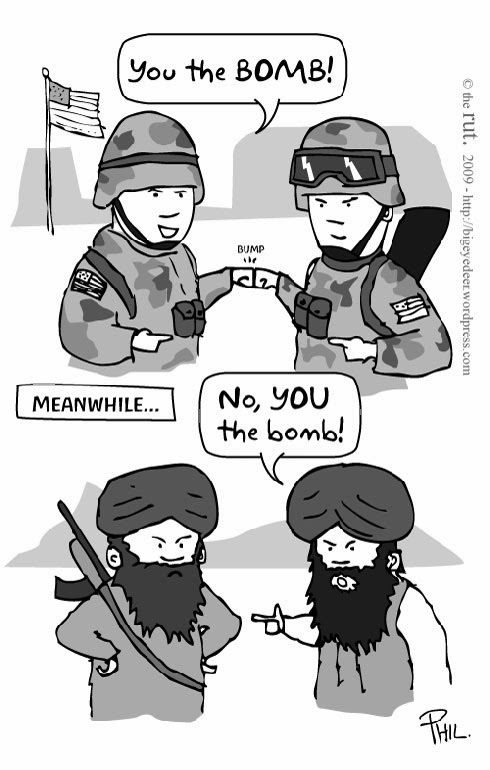 Mockery only works if there is truth behind the joke. I've had people who have escaped Communism - specifically Soviet dissidents and Vietnamese boat people - cry when they saw the hat. They knew what I was doing and they were quick to shake my hand, but they were just as quick to turn away from the red star. Too much loss. Too much pain. The pain continues today, but the victims are too small to scream. The North Korean regime is committing systematic and widespread human rights abuses, including forcing mothers to drown their newborn babies and setting up secret prison camps, a United Nations report released Monday found. The Liberal Progressive Communist who looks at these two stories will be quick to say "One is infanticide, the other an abortion." True. 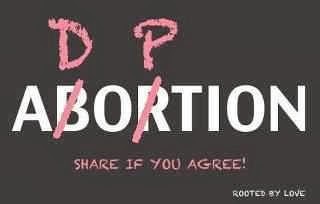 And President Obama voted three times for infanticide as an Illinois state senator. It was the only time he voted against his party. And speaking of "party," the Communist Party USA did not run candidates in 2008 or in 2012. They endorsed Barack Obama. 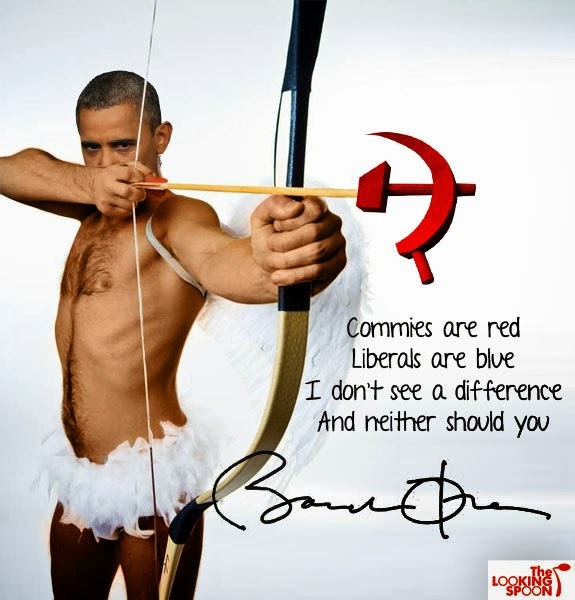 Liberalism is the Party of blood. Always has been. Always will be. ...It is a choice my birth mother chose. The next time you hear a lib say "it's for the children," do me a favor. Slap the taste out of their filthy mouth. 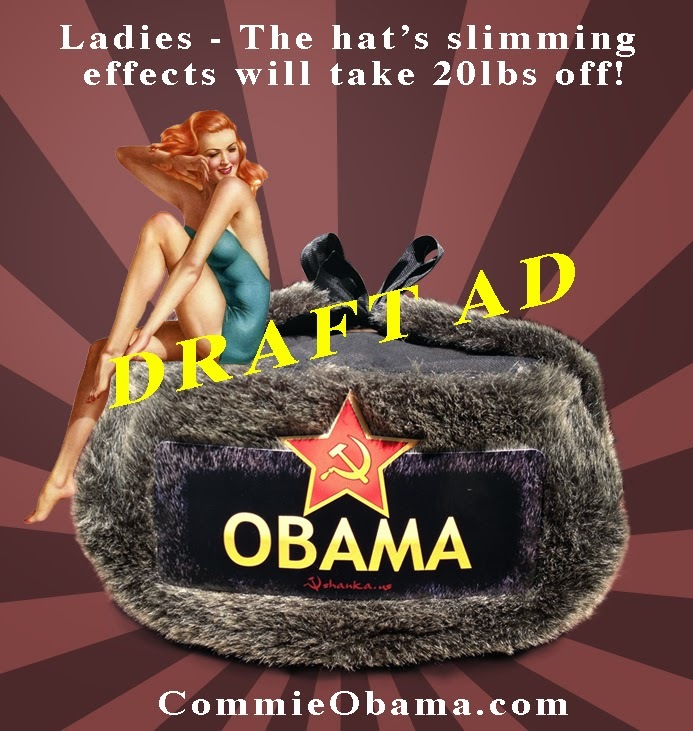 Comrade Captain Capitalism has updated our Commie Obama Hat advertisement on his site! We're on the left, right under Boris the Shitting Buffalo. Now who wouldn't want to be under a shitting buffalo?? The selection process for the new ad has taken over a year. 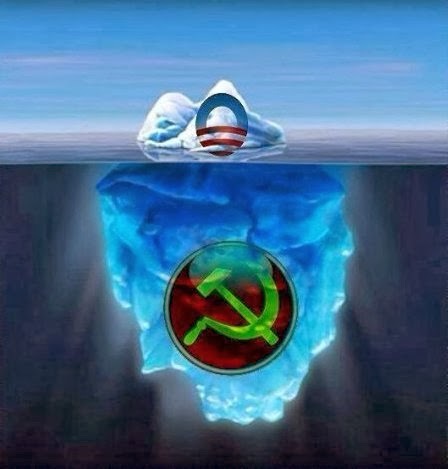 We appreciate the Captain's generosity in spreading the word about the Commie Obama hats. 712-626. That was the vote against unionizing the VW plant in Chattanooga Tennessee yesterday. That vote is too close. It appears the 712 employees, who make more than their government-motors counterparts in Detroit, decided not to follow their counterparts in Detroit into the pit of economic hell. Luckily, they outnumbered the 626 employees who wanted to pay union dues while they suffer through strikes, pay cuts, benefit cuts, and endless meetings where they are told management hates them. If UAW union officials cannot win when the odds are so stacked in their favor, perhaps they should re-evaluate the product they are selling to workers. UAW must stay out of the VW plant for a year per their agreement with management. 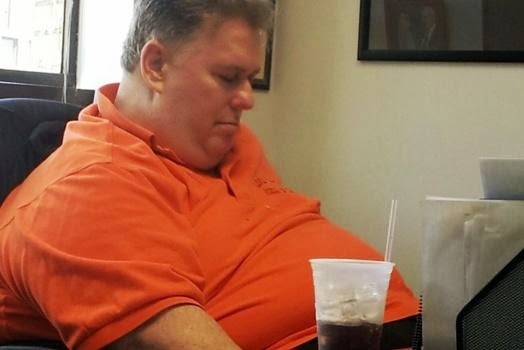 On the bright side, Gary Casteel, UAW's Director who lost yesterday's vote, will have a year to take a power nap!